My latest release through Bombora Records features songs taken from my first two CD’s, Not Really The Blues (2003) and She’s On The Other Side (2007). The songs have all been reworked in some way. Remastered, rerecorded or remixed - some all three. The songs, largely influenced by the blues, are my attempt to get close to the music that inspired me on my own journey and still does. Over the last 15 years or so I have made four albums. The first two albums have been described opposite. The third, Greyhound to Mecca (2010) has some country influence as well as roots and rock. The last, Big Island (2012) is a collection of songs about Australia, hence the title. The music is quite varied. Paul Cartwright selected ten songs from both CD’s compile Storylines (2014)plus four from Dean’s Blues. 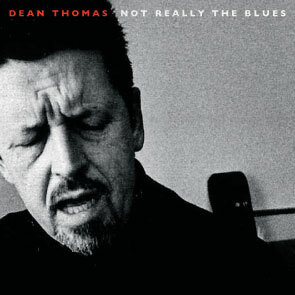 Availability is extremely limited for hard copies of Not Really The Blues, She’s On The Other Side and Greyhound to Mecca although Bombora Records still have some copies for sale, they also have Dean's Blues available on their website. Hard copies of Big Island, Dean's Blues and Storylines are available directly from my shop. For an overview of my music get Dean’s Blues and Storylines.